Doms most recent win, First Place at the Empire Show. Dom Perignon was awarded a blue ribbon at the 2009 Empire Extravagnza show in New York and ribboned 2nd Place at the 2008 New England Coast Classic in very impressive class of 9, and again, a second at the 2008 Empire Extravaganza. 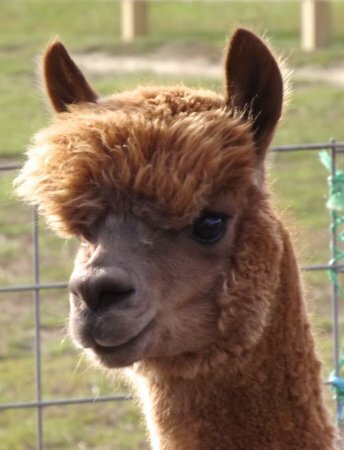 At the 2009 New England Coastal Classic Show, the judge commented on how Dom had the finest fleece in the class! 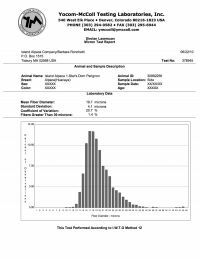 Fiber sample (August 2008) reveals the same fiber diameter.. the exact same, 17.7 = Super fine! With a perfect disposition, Dom is very easy to handle, likely one of the most "hugable" in the herd. Take advantage of his very low stud-fee now. 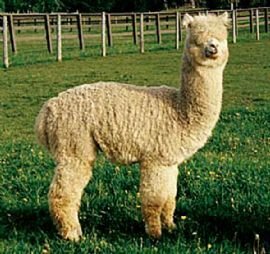 Stud Fee: Traditional Breedings: $1,500. Drive-by Breeding: $1,000. 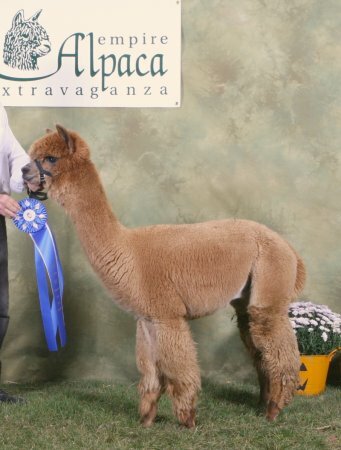 2008 Empire Extravaganza: Second Place, Dark fawn, yearling male (Judge: Charlene Friedman)- Class of 11. Midnight is one of our first purchases from Cas-Cad-Nac farm. We have been tremendously pleased with her production and success of her offspring. 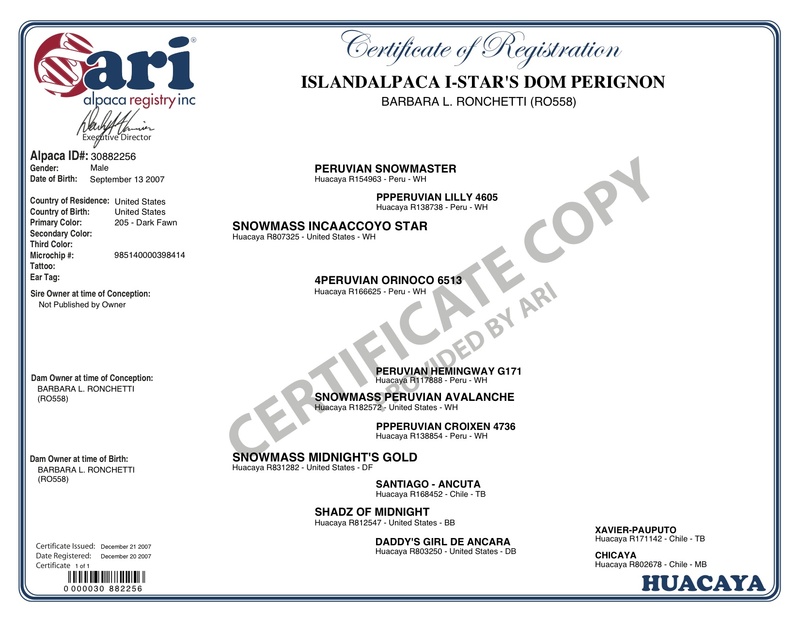 I-Star is a son of the famed Peruvian Snowmaster. 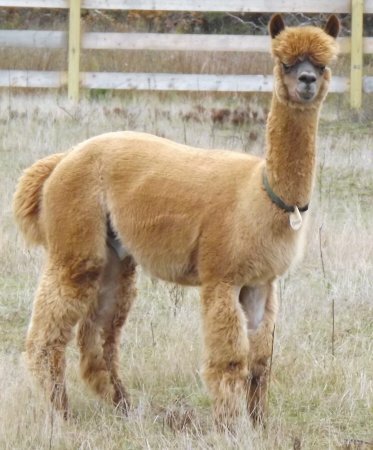 One of the few full-blooded Accoyo males to come out of his amazing sire, he has all the fiber density, crimp, and fineness one would expect of his lineage. I-Star, the son of Snowmaster who was sold to a farm in Australia for $250,000. There are very few male offspring in this country to carry on his incredible genetics. 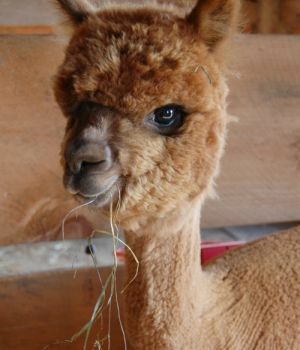 His first crop of offspring were dominant in the show-ring in 2003 winning several blue ribbons and Championships across a range of colors and his subsequent cria have proven that that was no fluke!